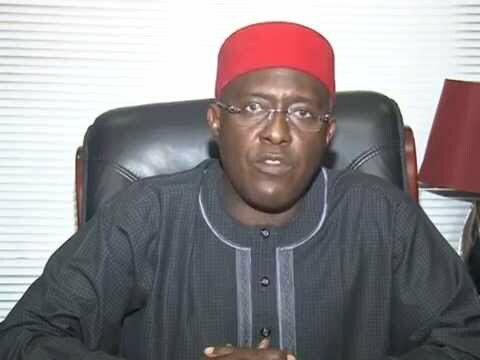 PDP National Publicity Secretary, Olisa Metuh, is not happy with President Muhammadu Buhari‘s anti-corruption campaign tactics. He expressed his displeasure while speaking with newsmen over the weekend, Vanguard reports. “…the PDP therefore states categorically that the orchestrated investigation of Senator Akpabio is politically motivated and targeted at weakening the PDP for 2019 elections, by virtue of his being the face of opposition in the National Assembly. It is also part of the fight by the Presidency to weaken the legislature as an arm of government and prevent it from effectively carrying out its constitutional role of checks and balances in a democracy. Whereas the PDP has over time restated its support for a credible, holistic fight against corruption, unfolding events have confirmed our position that this administration is only using the anti-corruption posture as a tool to witch-hunt PDP members and perceived political opponents of APC government. 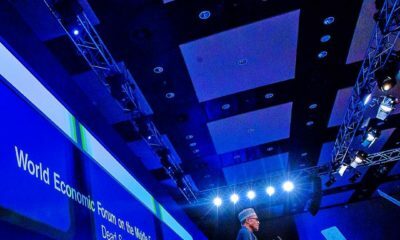 We are aware that having realized that Nigerians have seen through their propaganda, deceit and lies, as well as their ineptitude in handling governance, the APC government is now mortally afraid of the on-going rebuilding in the PDP to take over power in 2019, and is as such, applying every negative means to decimate our great party, including the relentless victimization of our key members. It is clearly manifest that the same dictatorial tendencies manifested during the military regime of 1984 is being presently applied in the polity in the attempt to discredit PDP members and weaken our great party ahead of 2019. The APC and its government have been busy denigrating the PDP and trying to appropriate our achievements, while at the same time blackmailing, hounding and harassing our elected members with the aim to cow and force them to leave the PDP and join their party. We have verifiable reports from our key members that agents of the APC have been approaching them to join the APC with threats to use the EFCC to victimize them should they refuse. The APC and its agents have been boasting that they have the powers to deal with or spare any person, depending on the party such person belongs to. This clearly explains why the so-called fight against corruption has been selective and focused against PDP members, despite counsel by stakeholders that it should be holistic and in accordance with the due process of the law. The best example of the curious nature of the war against corruption is the fact that former PDP governors and ministers are being hounded and arrested over apparently orchestrated petitions, while their APC counterparts, who have more damaging petitions are being nominated for ministerial positions. Even other APC former governors who have on-going corruption cases in court are being rewarded with APC tickets for the forthcoming governorship elections in Kogi and Bayelsa. On the issue of Senator Godswill Akpabio, we invite Nigerians to note that in the three rich states of Akwa-Ibom, Rivers and Lagos states, there were petitions against their former governors. Whereas the former APC governors of Lagos and Rivers were rewarded with ministerial nominations, their Akwa Ibom PDP counterpart and the current Senate Minority Leader is being hounded by the EFCC. This is in spite of the common knowledge that Akwa-Ibom under Senator Akpabio is arguably the least indebted state in Nigeria, and where the governor appropriately applied available resources to effectively transform the state. We challenge the APC to show Nigerians any of their governors that matched the feats achieved in Akwa-Ibom under Senator Akpabio, whose only building in Uyo is uncompleted and being built with verifiable bank loans. 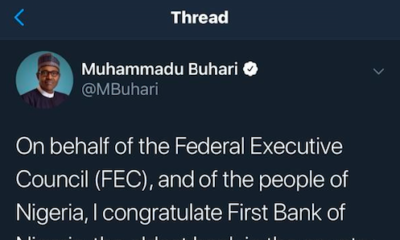 As we speak, no APC member, despite the public petitions of corruption and squandering of state funds, has been invited or questioned by the EFCC. We challenge the EFCC, as an anti-corruption agency, to show Nigerians any member of the APC it has so far questioned, not to talk of being arrested since the emergence of this administration, despite petitions against them. Recall that even the case of former Adamawa state Governor, Murtala Nyako, started before the advent of the current administration but is now reportedly being worked on ostensibly to extricate APC members involved. This government has established itself as a hypocritical regime that accommodates corruption, profligacy and sleazes in government quarters while hoodwinking the people and witch-hunting PDP members. 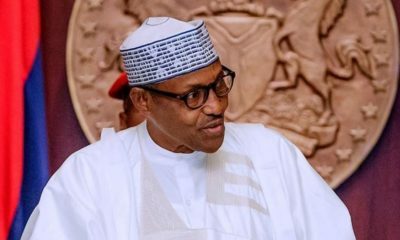 The hypocrisy of this administration came to the fore with the show of insensitivity to the mood of the nation as copiously demonstrated in Saturday’s ostentatious thanksgiving party (with hundreds of millions of naira spent) by the Secretary to the Government of the Federation, SFG, Engr. Babachir David Lawal, at a time the people of the North East geo-political zone, where he hails from, are being ravaged by insurgency.